The American Revolutionary War in the South brought many changes to the lives of the women residing in the region. With neighbor against neighbor over allegiances to mother Britain, and a fledgling country fighting an empire, these women were often caught up right in the middle of that world changing conflict. Some became actively engaged in the political scene, or became spies, petition organizers, munitions makers, cooks, and even mistresses to officers on the British side at times. But most remained doing what they had always done: child-raising; livestock tending and crop management; sewing on spinning wheels; plus numerous other daily chores and labors - whatever was required of them in fact. Although considered the weaker gender by 18th century standards, they were anything but, and proved this a thousand times over during the long war. Expected to be upright morally and beyond reproach, they were generally given tasks such as laundresses, cooks or nurses with the respective military forces. Those that stayed at home, which were the majority, besides their usual work, took in that of their absent fathers, brothers and husband's with tasks like cattle and hog slaughtering - and even hunting when the opportunity to do so presented itself to them. They were indeed a hardy race of women. Some of these southern women became camp-followers in the Patriot, British, and Loyalist armies. Often these were wives or lovers of the soldiers. A minority could be considered prostitutes, who simply needed a steady supply of nourishment and some semblance of protection. The war was an extremely bitter one with razed homesteads and dislocation the norm in many areas. Interactions between those striving for independence and those remaining loyal to British rule could be especially cruel and vicious. It was indeed a brutal civil war caught inside a revolution with the female gender often paying the price in hardship and worse. The circumstances females found themselves bound to in the different armies varied. In the American army they were considered integral to a unit, received the same rations, but were also liable to the same punishments as the men if they stepped out of line with military regulations. In the British commands they received smaller portions of food, but were paid in pence for their efforts. Here, too, the women were subject to harsh discipline and eviction for protocol violations. The following are three stories of literally dozens, if not hundreds, of notable Southern women whose worthy tales could and should be told. 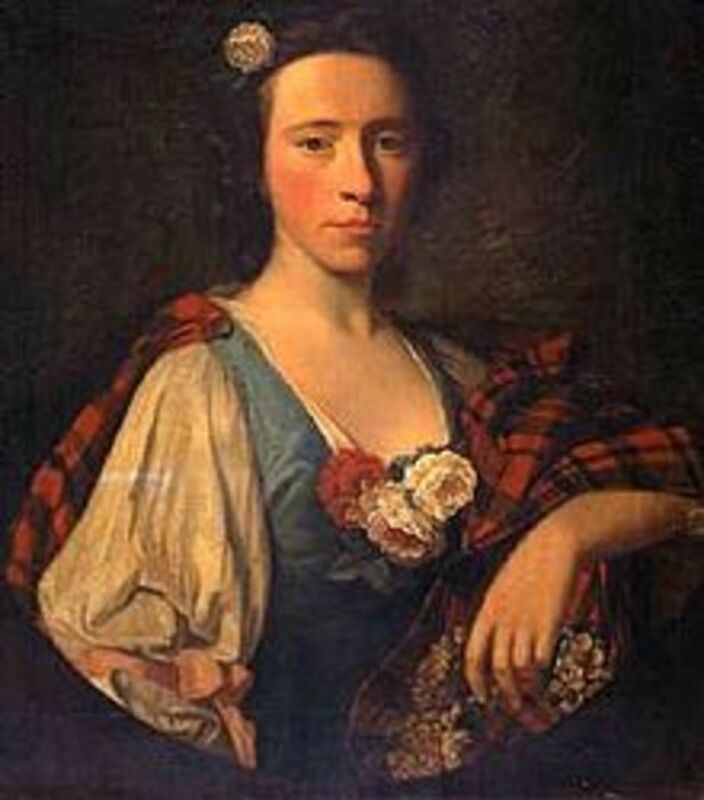 Flora MacDonald was an absolutely amazing woman of the American Revolution; likewise before its start and beyond its closure. Born in Scotland during the year 1722, she was the daughter of Ranald and Marion MacDonald, and was raised under guidance of the powerful Clanranald folk in the Outer Hebrides. A defeated Bonnie Prince Charlie took refuge near the 24-year-old Flora's home after the Battle of Culloden in 1746. She was eventually, after some hesitation, to accompany the Prince, who was disguised as a woman, to the mainland where she went for aid as he hid in the boulders near shore. Later she was to distract those seeking to capture the Prince by performing a dance now called the Flora MacDonald's Fancy. Flora and her husband, Alan MacDonald, immigrated to North Carolina in 1775, where they quickly became admired and respected members of the Highland Scot community along their part of the Cape Fear River and its surrounding areas. 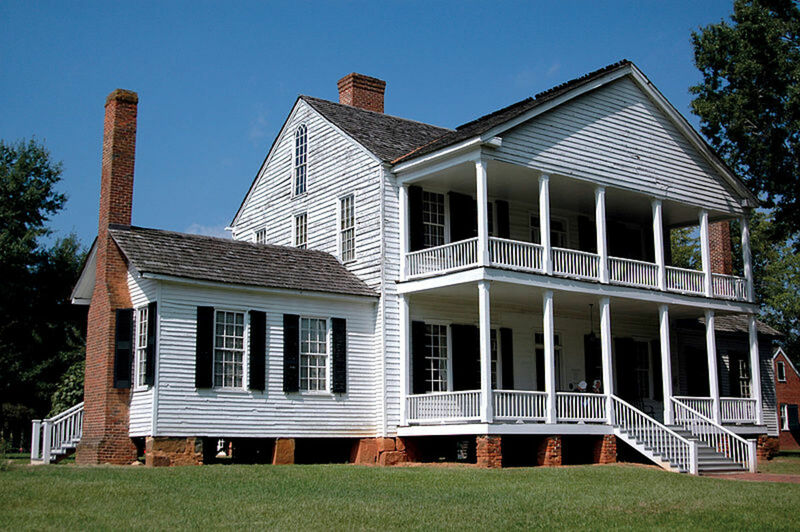 In early 1776, her husband, as an officer in a loyalist detachment of Highlanders, gathered at Cross Creek (Fayetteville) preparatory to marching on rebels just inland from the port city of Wilmington. 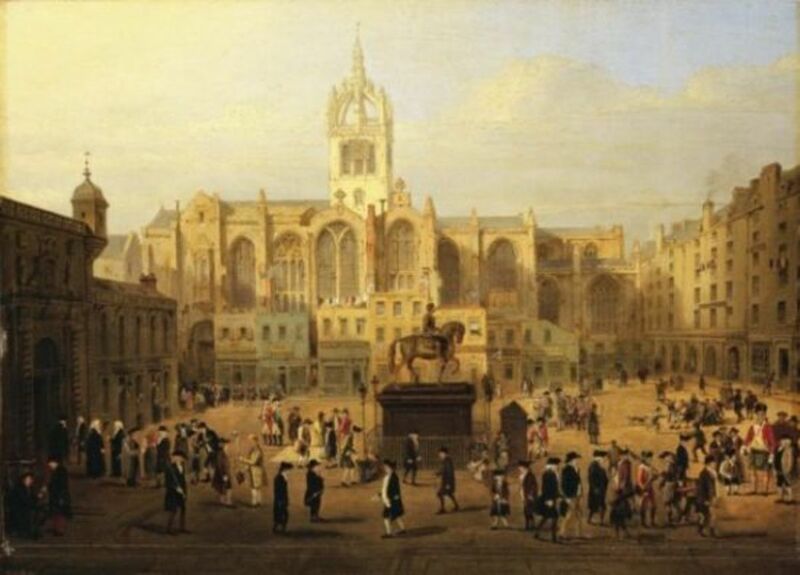 Flora herself rode along the loyalist line on a great white horse exhorting the 1600 Scotsmen to be true and faithful to their monarch, King George III. She was to later write of the contingent's pitiable armaments,- "...600 old bad firelocks, and about 40 broad swords." Her husband was taken captive in the army's bloody debacle trying to cross over the widow's Moore's Creek Bridge in the face of determined resistance. Two years later, after caring for the couple's two children and suffering much from the animus of regional patriots, she left their property behind and managed a reunion with Alan in British held New York City. Her husband had suffered intensely during his incarceration before being released in a prisoner exchange. From there she went on to Halifax, Nova Scotia, in an attempt to wait out the war. Near its conclusion, a worn-out and middle-aged Flora set sail for the old country while her spouse remained behind on duty in Canada. During the long voyage back across the Atlantic, the ship was attacked by an American allied French corsair, and Flora was more than slightly wounded. This remarkably rugged, yet feminine lady, passed away in Skye, Scotland in the year 1790, aged 68..
At one time the local scuttlebutt had the big plantation house, built in 1855, at Historic Brattonsville, South Carolina, as nothing more than a rundown antiquated structure good for teenage partying purposes only. If true, that unfortunate fact luckily changed in the early 1970s with the district being placed on the list of the National Register of Historic Places. Fortunate, too, in the fact that the area had seen much history throughout the long centuries. In recent times, the main house and surrounding countryside were used for location filming of the Revolutionary War movie, The Patriot, starring Mel Gibson. On the evening of July the 11th, 1780, a loyalist command rode up to the cabin of Martha and her patriot husband, John. Martha's husband was an officer in the militia and absent at the time. She was home with her young children, including little William, who later wrote about the events that went down that night. 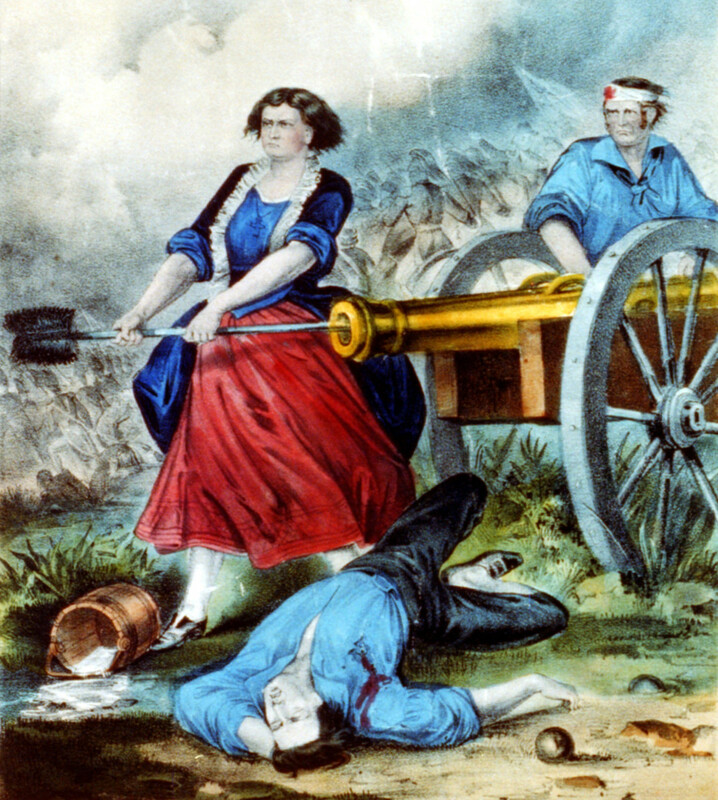 It was fortunate her husband was off with the militia as Captain Huck, in charge of the detachment, had been all day hunting rebellion men and was in no mood for mercy - not that he was known to have any. Another officer demanded of Martha the whereabouts of her husband and, dissatisfied with the answer, proceeded to hold a wheat sickle to her throat; all the while threatening to slice off her head and "split it." A gentlemanly officer named Adamson, interposed by cold-cocking the offender and tossing him out the cabin door. Huck remained somewhat composed through this, but later became enraged at the rebellious Martha's statement of preferring to see her husband die "true to his Country and cause" as be forced by Huck into the royalist ranks..
Later that night, the Captain and his men moved a short ways west to the homestead of one James Williamson, where they set up camp in a narrow lane. This proved to be a very disadvantageous and deadly position for them to occupy as things turned out. Unbeknownst to the Tories in their slumber, Martha had sent off a black man named Watt to alert Colonel Bratton and his militia of the dire situation in the neighborhood. Come morning, at the exact moment Huck had several prisoners on their knees, vainly pleading mercy for themselves, the Carolinians entered both sides of the lane simultaneously and made short work of Huck and his band of marauding men. The survivors were taken prisoner or scattered and dispersed. Captain Huck had quickly gained a reputation as a cruel and wicked man amongst the York District folk, and his fatal fate was looked on as divine retribution. Martha's stoic stand and timely warning had saved the day. 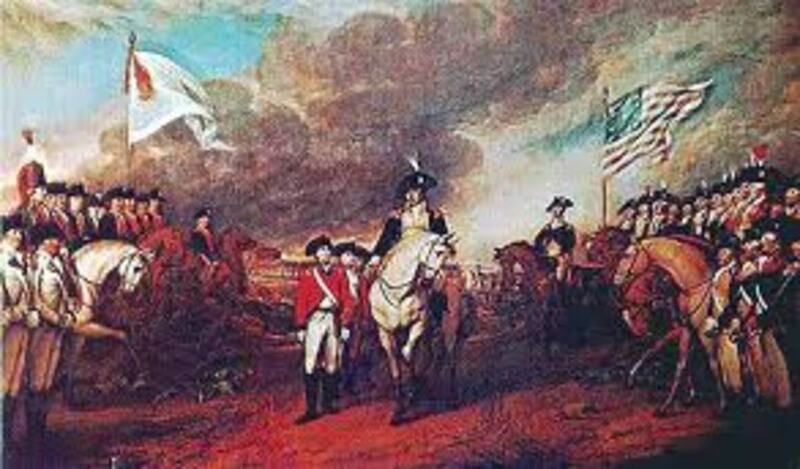 After the British forces tasted twin defeats at Kings Mountain and Cowpens, General Cornwallis led his redcoat army up through North Carolina in hopes of destroying Daniel Morgan's men, victors in the later battle over Banastre "Bloody Ban" Tarleton. Morgan managed to stay just ahead of the British army and eventually merged with General Greene's Continental force. In the train of Cornwallis's hurried advance came the camp-followers, most of whom were women of all ages and older men. It was an onerous and wearying, nearly 200 mile round-about journey from South Carolina to battle at Guilford Courthouse, N.C., for all the marchers, soldiers and civilians alike. One order during this fairly rapid trek, shows how the females could be used in a non-customary manner. In case of an emergency, with the soldiers ordered forward into line, the women were to "..form a Guard" to the baggage train and pack-horses, resisting all comers. At one point in the march, the commanding general ordered nearly all the wagons destroyed to hurry things along, with the women no doubt given other unusual calls-to-duty if needed. Stealing from locals by some of the females, became such a problem, that Cornwallis issued orders that the guilty be punished with the "utmost severity and example." The women were to henceforth be counted in the mornings behind the companies they traveled with, officers' women excepted. Any caught seriously tardy or missing were to be flogged and expelled from the army. 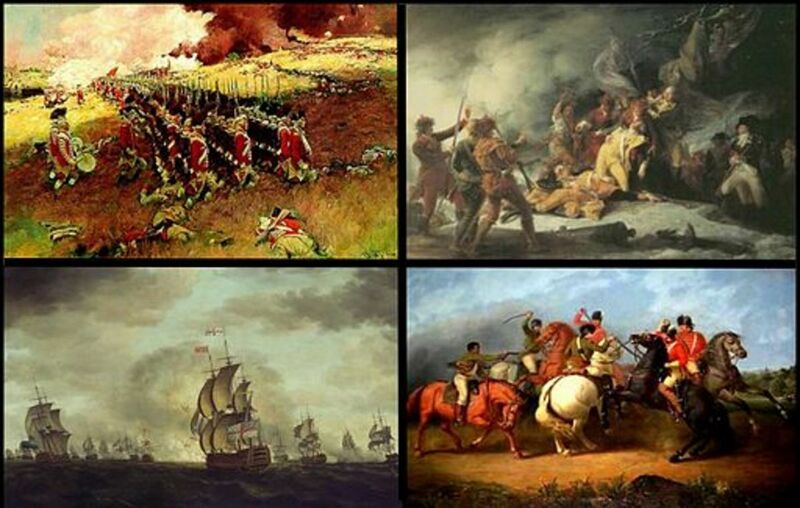 The battle at Guilford Courthouse, when it came, was one of the toughest and bloodiest fights of the entire war. 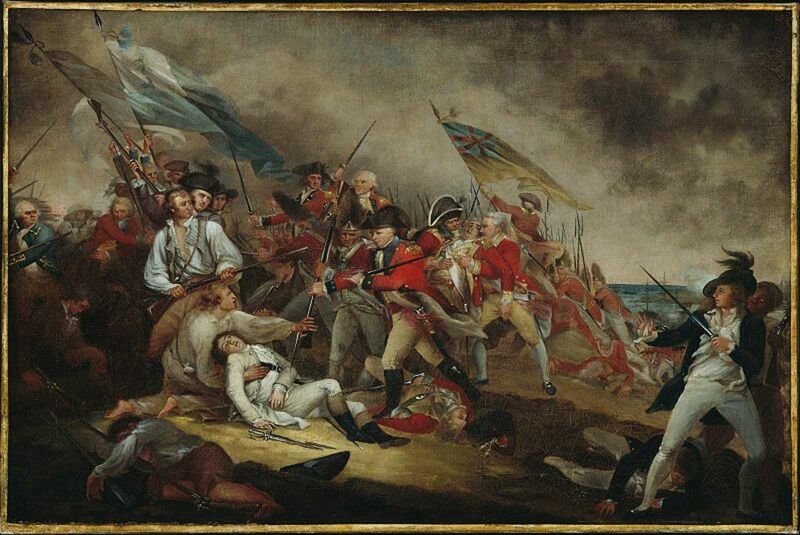 The British emerged victors on the field, as the Americans fell back; but the victory proved a very costly and Pyrrhic one for Cornwallis, and determined him to flee eastward to Wilmington,N.C., and then up to Yorktown, Virginia; here of course he was besieged and later surrendered to General George Washington and the French in October, effectively ending the war. As the smoke cleared from the Guilford engagement, local women came forth to tend the wounded and search for any kin. As most of the injured were being placed in private homes and farm buildings, an older lady was riding hard for the battlefield from Halifax County, Virginia, hundreds of miles away. She was coming for her warrior son lying wounded. She may or may not of actually scoured the blood-soaked field herself, but at the very least found her boy in a home or building. Many women from the region were nursing those in need, some coming long distances to do so; but it's unlikely any came as far and as fast as Mrs. Turner, who probably helped with other soldiers' care in addition to her sons. Some accounts have this remarkable woman a senior citizen during this time; perhaps she was, perhaps she was younger. 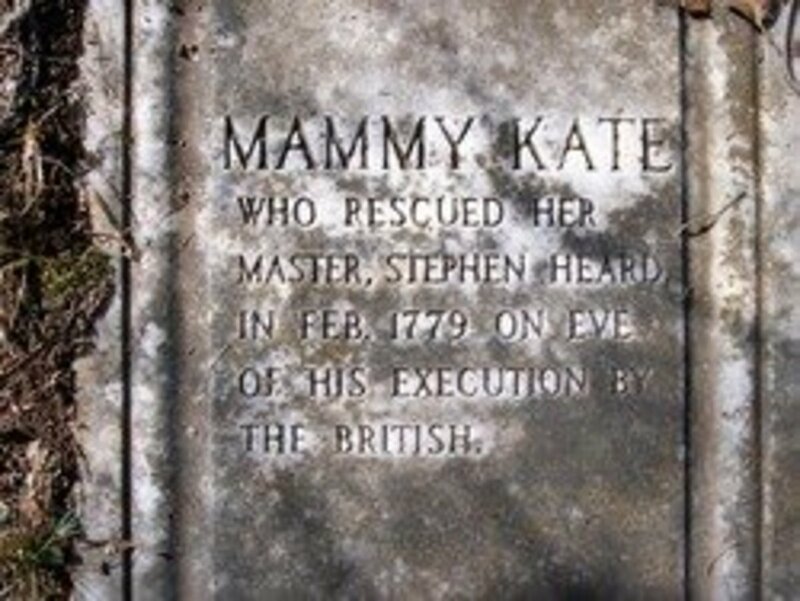 At any rate there are historians who believe she passed away in 1807 at well over 100 years of age. Females of the time and place were often extraordinarily hale and hearty, so she could have been the former age. 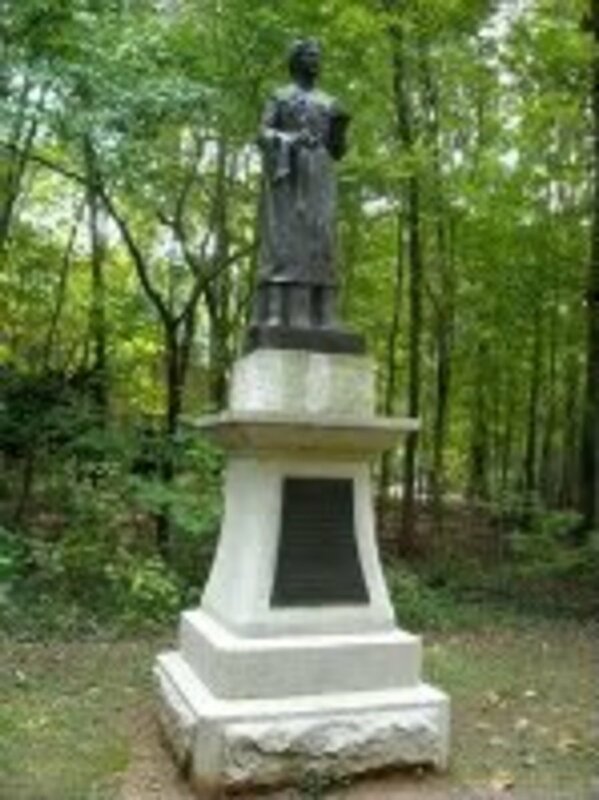 In any case, Norma's spirit is honored by a statue in the military park which reminds us not just of her, but all the independence-seeking women who not only suffered and toiled with nurturing souls, but stood the course and triumphed in the end during America's long eight years of revolutionary war. Oh Kitty, have you heard of AliSpagnola, the one gal band? She became an internet sensation. If you haven't check her out on twitter...she's got almost two and a half million followers! unnnnnnbelievable..! That's more than I've seen a lot of movie stars have. AP - Where ya been? Did you disappear? I enjoyed this hub very much. I've noticed that many of the women from our history have not quite made it to the pages of the history books in school and elsewhere. Why is that, I wonder? I thank you for bringing them to life again. :) Hope you are well. Thanks, Beth. 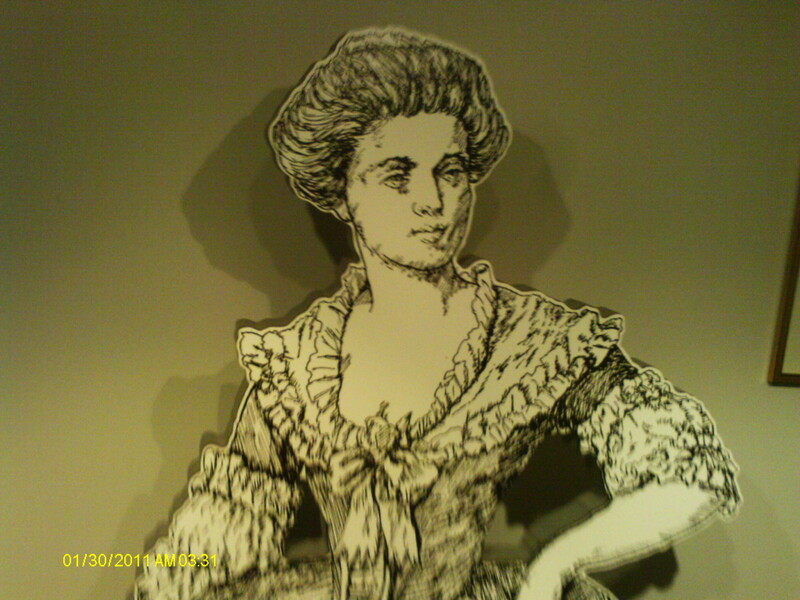 Flora was quite a woman. Can you imagine her riding back and forth on a great white charger inspiring those Highlanders like Braveheart! Had a pic from the National Park Service of Turner at the end but its link just got broken. That's never happened before with the nps and is not a good sign. But what I've got to e-mail you about soon is the best sign of all...I hope! Alastar, what a thrill to read about these American heroines! Adventurous, bold ladies all! And I love the painting of Flora in that gorgeous tartan shawl. How nice it is to see your comment from Down Under, Rangoon House. It was a pleasure dedicating this story to all the history reading ladies on HP. The women have a story to tell in these matters as well as the men and that fact is often overlooked. Perhaps you would find it interesting to know that Flora's Highland Scots neighbors comprise many counties in eastern NC and some have sister cities in Scotland. And at the King's Mt. Natl. Military Park, where the Tory leader Patrick Ferguson is buried with two of his mistress's killed in the battle, one being called Virginia Sal, it is still the custom for folks to toss a pebble on his cairn in contempt. Hang our leaders and burn our homes will he--ha! think not! Bravo Flora, Martha and Norma. Their contribution was enormous to be still remembered and honoured in the 21st century.